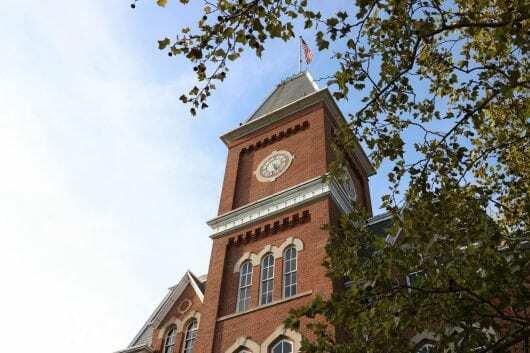 Ohio State released its annual Campus Climate Survey in conjunction with 32 other universities within the Association of American Universities to study the trends of sexual misconduct on college campuses around the country. The Campus Climate Survey is a voluntary and anonymous questionnaire that explores students’ opinions, attitudes and knowledge of both resources on campus and the climate around sexual misconduct on campus. Questions also include experience with non-consensual sexual misconduct and how likely students feel the university is to take these issues seriously. Kellie Brennan, Title IX coordinator, said the university makes changes to its prevention efforts toward sexual assault, sexual harassment, dating or domestic violence, and stalking based on the data collected in the survey. The survey collects data on these four main topics and tracks trends of reporting incidents and how many people are experiencing these issues. “[The data] really forms the basis for all the prevention efforts that we engage in and to understand incidents rates and where we may need to target our efforts to raise awareness around some of these issues,” Brennan said. AAU, an organization consisting of 62 American and Canadian research universities, conducted a first-of-its-kind national study of campus climate around sexual misconduct in 2015 and decided to do it again in 2019 after gathering more than 150,000 student responses across 27 universities with the initial survey, according to an announcement. In June, AAU announced its plans to repeat its 2015 Campus Climate Survey for 2019, where it will publicly release aggregate survey data from the participating universities. Westat — a leading social science research firm — will provide each university with its own data, and those universities will be able to decide how to individually share their results, according to the announcement. Brennan said that AAU will release one big report about what the data shows nationally and then each institution can decide whether to release its data. Brennan said Ohio State will release its data so people can compare it to the national average. Ohio State participated in the AAU survey in 2015, but released a survey of its own in 2016 and 2017 that was reflective of the AAU one. The university did not release its own survey in 2018 because it knew AAU would be releasing its survey again in 2019 and wanted to wait to participate in the national one. Brennan said the responses are weighted to reflect the student population as a whole and based on what different demographics of people are experiencing. The survey is also used to help the university learn about student awareness of different offices on campus, Brennan said, and how much they might use those offices or resources and that the survey will provide insight into needs for the new Title IX office. At a Board of Trustees meeting in February, Ohio State announced a new Title IX office temporarily called the Office of Institutional Equity that will act as a single location for students, faculty and staff to seek advice and guidance about an issue of concern and can then be directed to the appropriate resources, University President Michael Drake said in a March interview with The Lantern. The office will contain the current Title IX office staff as well as staff that handle other areas of harassment and discrimination, Brennan said. According to an announcement from the university, the office will also deal with other types of harassment and discrimination including that of race, ethnicity and disability. Ohio State spokesman Ben Johnson said the results of this survey are used by everyone from the Board on down to influence decision making. The survey opened Monday and will be available for all students who are 18 and older until April 12. Results will be released in September.